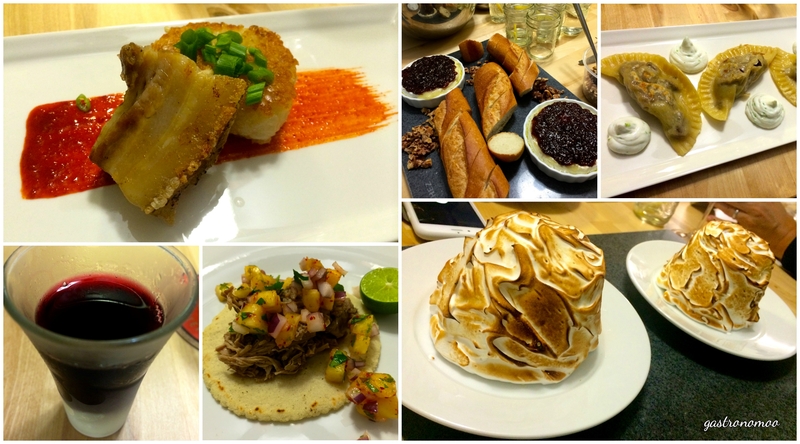 A friend had a housewarming party and served us various dishes that he created in his kitchen. Clockwise, from top left: pork belly with risotto cake, baked brie with fig jam served with walnuts and warm baguette, shaken beef pierogi, baked Philippines (sponge cake layered with ube and macapuno ice cream, covered in meringue and torched! ), carnitas tacos with pineapple salsa, and Korean raspberry wine. The most amazing thing is that he made everything from scratch, including the taco shells! Needless to say, we were in food heaven the entire evening. Bravo, Chef Vu!